Need to find the right binding for your job? 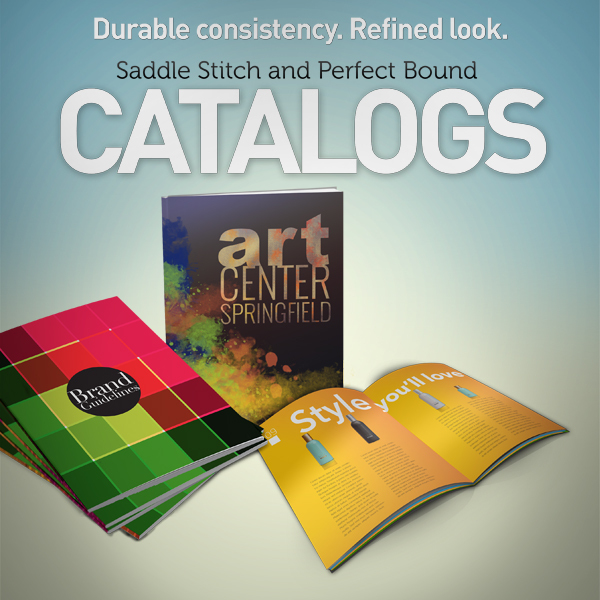 Save4Printing offers a wide range of bindings that many of our competitors do not. With several styles to choose from you’re sure to find one that fits your needs. It’s named so because it resembles a plastic comb. It binds the pages together through rectangular holes that are punched into the paper. Max. capacity 400 pages with thinnest paper. Plastic Coil resembles a plastic spring or coil. It literally coils through the pages through small holes that are punched through the paper. Max. capacity 425 pages with thinnest paper. Exactly as it sounds a tape binding is a strip of tape with a glue coating on one side. When the tape is heated it is applied and it glues the paper together. 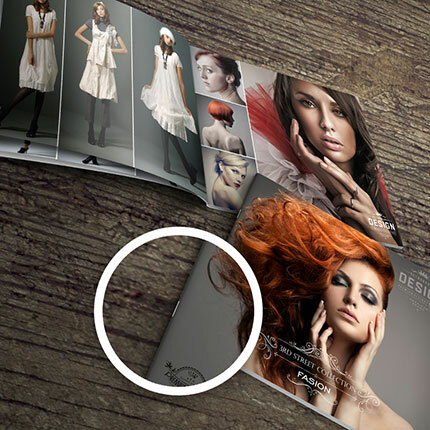 Much like a magazine a booklet, also referred to as saddle stitch, is paper folded in half and stapled at the fold with 2 staples. Resembling a metal spring it binds the pages together through rectangular holes that are punched into the paper. Max. capacity 250 pages with thinnest paper. Velo is a flat plastic strip. There is one strip that lies on the front page and another that lies on the back page. These strips are connected through small holes that are punched into the paper. Max. capacity 650 pages with thinnest paper. 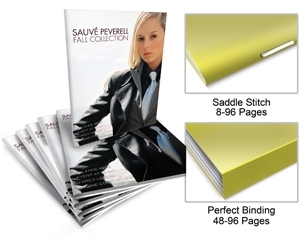 Perfect binding binds the pages just like your typical paperback book. 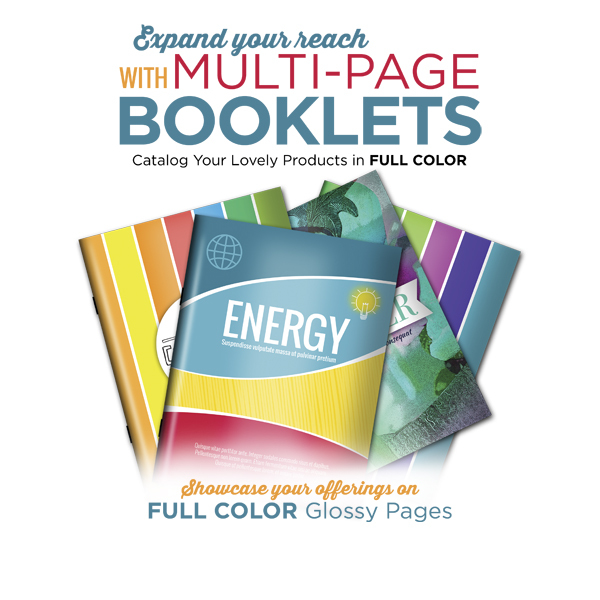 Your choice of paper is wrapped around your pages and glue holds the pages to the binding. Max. capacity 1,000 with thinnest paper. It’s simply 2 staples punched through the pages along the left hand side. 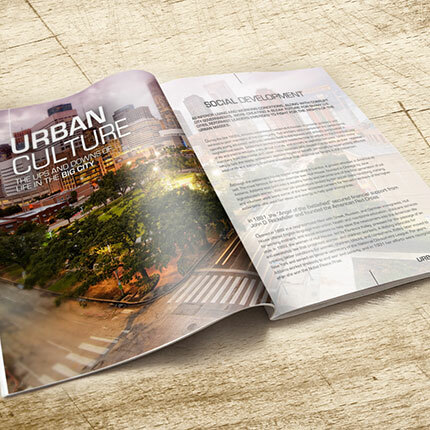 It is simply one staple punched through the pages in the upper left hand corner. This the most inexpensive way to hold pages together. *Some bindings can accommodate any combination of covers and others can only accommodate hard paper covers. Hard paper covers – print from a file or leave it blank. It can also be colored paper. 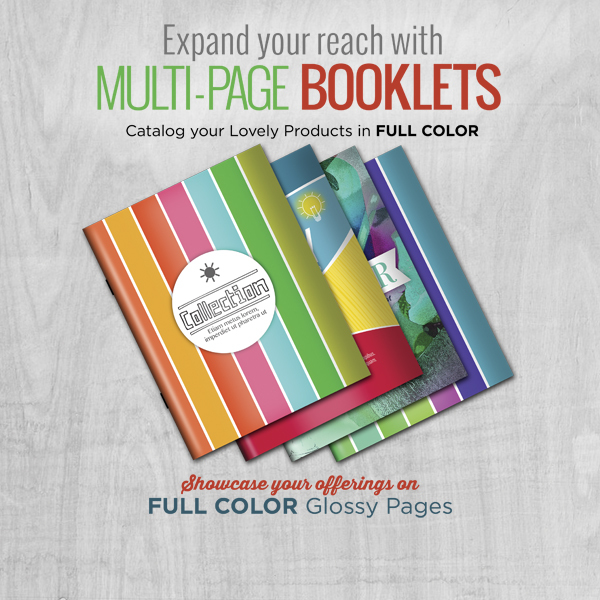 Booklets/Catalogs are a professional way to organize your material on multiple pages. 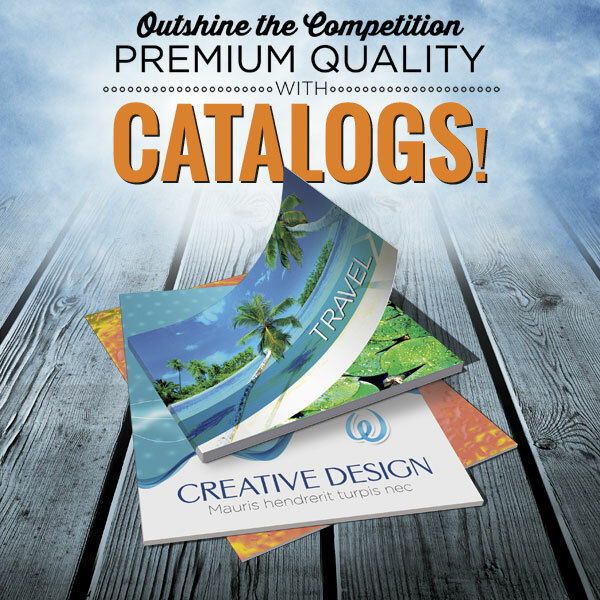 They allow more space for your print, thus enabling you to create upscale, organized presentations that make excellent Retail Catalogs, Artist Portfolios, Training Manuals and more. 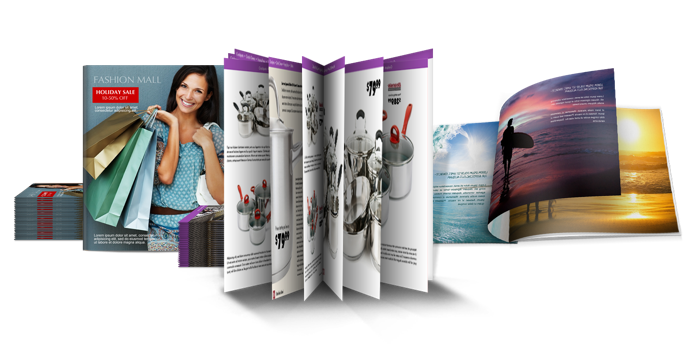 We offer multiple sizes and paper stock for your Booklet/Catalog project.